An impressive guest lineup will be joining Kimmel on the show. 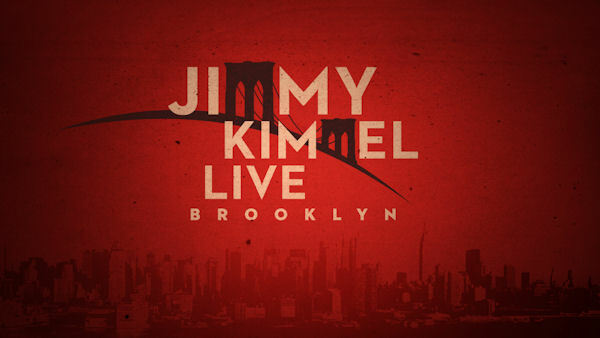 BROOKLYN, N.Y. (WABC) -- Jimmy Kimmel is back in his hometown of Brooklyn all this week. The five original shows will be filmed live from the Brooklyn Academy of Music's Howard Gilman Opera House, with an impressive lineup of Grammy-winning musicians and renowned actors joining Kimmel on the stage. The first show is beginning with a bang, featuring Bill Murray for his new film "Rock the Kasbah." There will a diverse group of talent for the night, including an appearance by American Ballet Theater principal ballerina Misty Copeland and musical guest Ryan Adams. It will be a true variety show. He's been on The Tonight Show starring Jimmy Fallon and the Late Show with Stephen Colbert; it was only a matter of time before Republican Presidential Candidate Donald Trump made his campaign rounds to guest-appear on Kimmel's show. Grammy winner Jay Z will also be on the show, but from TIDAL X: 1020 at the Barclays Center where music will be broadcast live. Kimmel is bringing back the old and the new during his New York week, with Michael J. Fox for a "Back to the Future" throwback for the trilogy's 30th Anniversary. All the tricks are being used for this celebrity-filled show. Bradley Cooper will be on for his new film "Burnt." Tracy Morgan will also join Kimmel, as he is gradually appearing in the spotlight again after his near-death car accident last year. The musical guest for the night will be Esperanza Spalding. And if all that isn't enough, there is also a special guest sit-in with Cleto and The Cletones, as well as Paul Shaffer. Kimmel will be talking with another media host, Howard Stern, to close out the week. Musical guest Public Enemy will end the eventful week of Kimmel live in New York.